Google developer team trying to roll out new login page to users.Google’s sign-in page can display a list of accounts that you've previously used with a specific browser. So here after you no need re-enter your email and password to sign-in other accounts. When you login to your account make sure “Stay signed in” checkbox ticked. 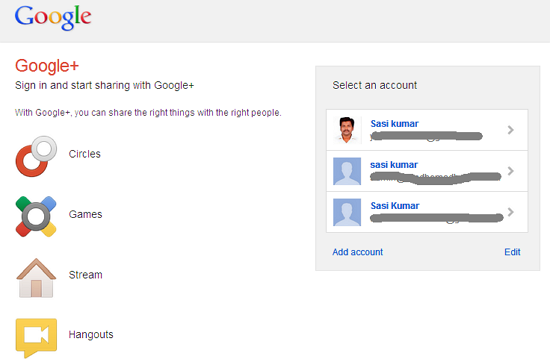 First go to this page and click the enable this feature link then add your accounts to show. In the future to sign in, simply click the account entry for the account you'd like to use. Be careful you dont enable this feature on public computers.